The A-2000D Series is a range of high performance mixer power amplifiers suited for broadcasting paging or background music in houses of worship, schools, offices, shops and factories. 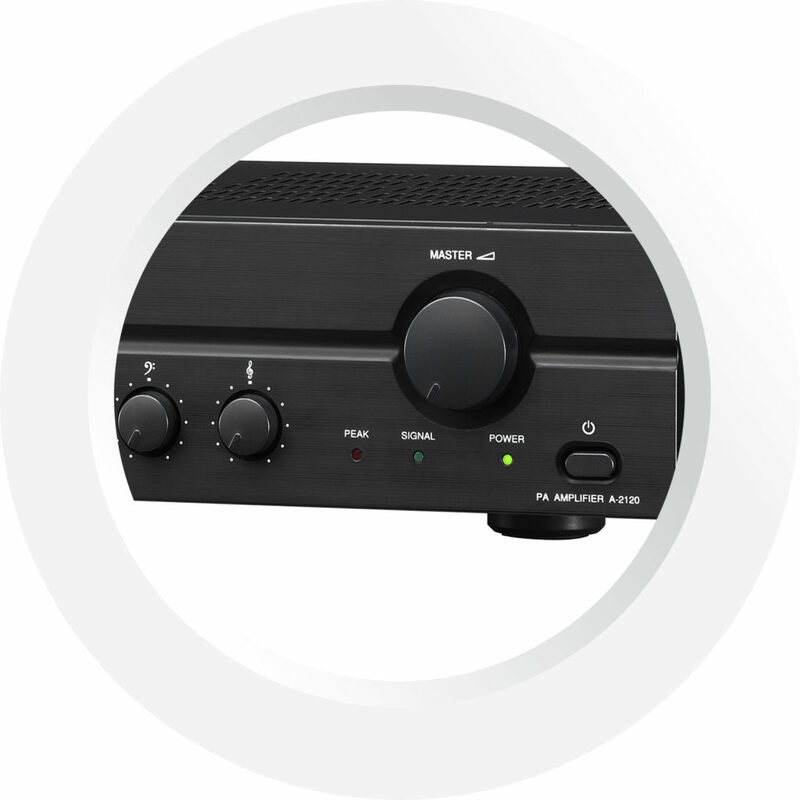 Equipped with balanced microphone inputs for better isolation from external noise, compared to unbalanced inputs, the A-2000D Series is suitable for AC operation and comes with power outputs from 30 W to 240 W. It is finished with a scratch and fingerprint-resistant surface for easy handling as well as quick volume control with master volume knob. The DD Version comes with 1x DIN5 Type + 2x Phone Jack Mic Inputs.